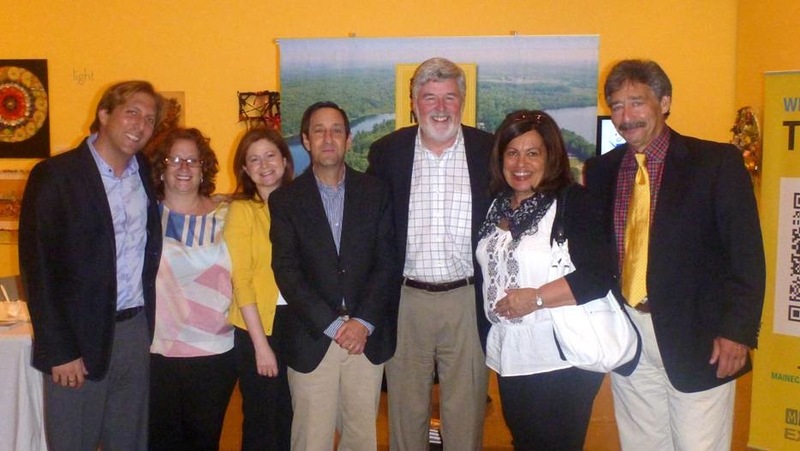 The JCC in Manhattan hosted an evening with New York Times bestselling author Michael Thompson, generously sponsored by Maine Camp Experience. “Every parent dreads letting children go. Partly, we dread it because we lack a clear roadmap of how and when to do it. Homesick and Happy changes that. It is a powerful and very accessible book that helps build maturity and resil- ience in our children—and also in parents, as well!” — Michael Gurian, author of The Wonder of Boys and The Wonder of Girls. 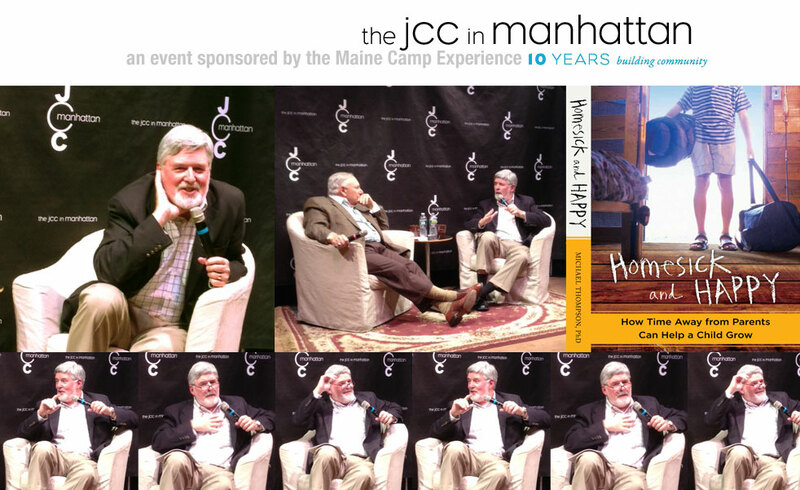 Michael Thompson made his first NYC appearance at the JCC Manhattan, speaking about his new book. Homesick and Happy is an insightful and powerful look at the magic of summer camp—and why it is so important for children to be away from home… if only for a little while. In Homesick and Happy, renowned child psychologist Michael Thompson, PhD, shares a strong argument for, and a vital guide to, this brief loosening of ties. A great champion of summer camp, he explains how camp ushers your children into a thrilling world offering an environment that most of us at home cannot: an electronics-free zone, a multigenerational community, meaningful daily rituals like group meals and cabin clean-up, and a place where time simply slows down. In the buggy woods, icy swims, campfire sing-alongs, and daring adventures, children have emotionally significant and character-building experiences; they often grow in ways that surprise even themselves; they make lifelong memories and cherished friends. Thompson shows how children who are away from their parents can be both homesick and happy, scared and successful, anxious and exuberant. When kids go to camp—for a week, a month, or the whole summer—they can experience some of the greatest maturation of their lives, and return more independent, strong, and healthy. Special thanks to the JCC in Manhattan for hosting this event.